Begonia plants include over 900 species (not including hybrids). The begonias grown as houseplants are warm-natured, and generally originate from tropical regions. All begonias have fleshy stems and uneven leaves – one half of the leaf is longer than the other. The shape of the leaves vary. 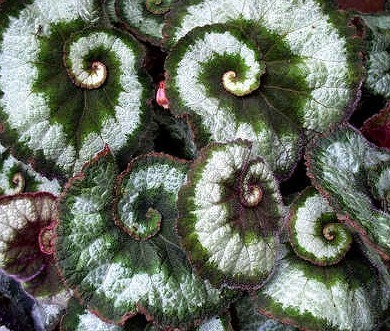 Begonia leaves can be rounded with scalloped edges, elongated hearts, or ivy shaped forms. Some begonia species that are grown outdoors can also be grown indoors for short lengths of time – tuberous begonias (grown in hanging baskets), and wax begonias. Begonias that are ideal houseplants include Angel Wing begonias, Rex Begonias, and Rieger Begonias. Begonias vary in size and longevity, as well as leaf and flower shape. 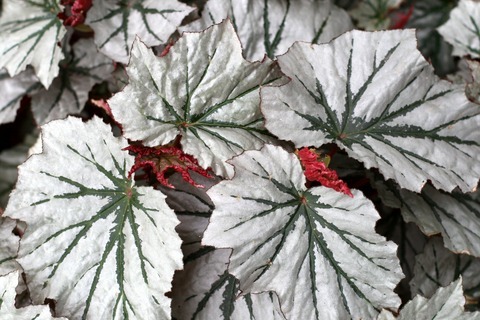 Rex Begonias are harder to grow; however, their unique stained-glass leaves make a striking display. They produce large leaves that are marked with dramatic colors, such as pink, green, silver and burgundy. 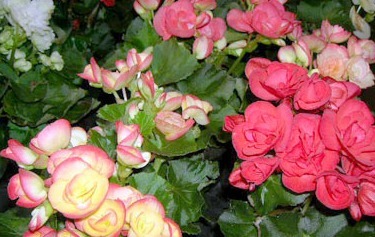 Reiger Begonias are used for short-lived color, commonly displayed on windowsills. When the flowers fade they can be propagated from rooted stem cuttings or discarded. 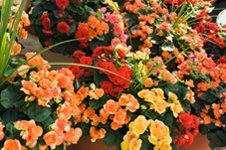 The best time to purchase Rieger Begonias from the florist is early winter, when the flowers are on the brink of blooming. 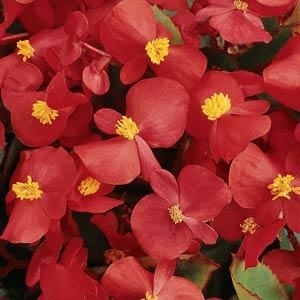 The Wax Begonia is known for its round, thick, waxy leaves – giving this colorful flowering plant its common name. They can be displayed in containers or hanging baskets. Wax Begonias can also be planted as a border or mass planting in the landscape.